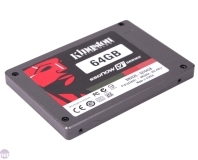 In the world of performance storage, users will soon be polarised into the haves and the have-nots; whether you have an SSD or not. The huge impact they can make on a performance PC, especially when it comes to boot times, installing patches and the general responsiveness of a system really can’t be understated. 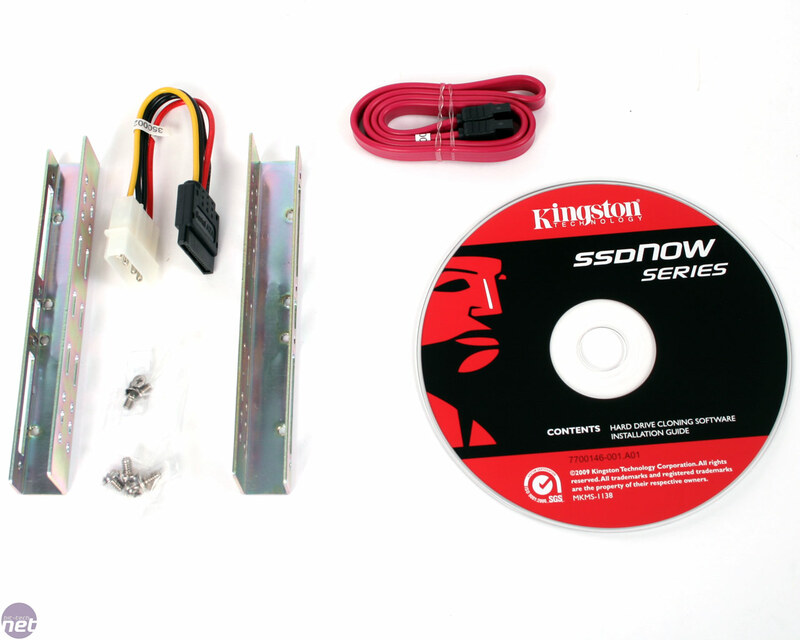 Unfortunately SSDs remain prohibitively expensive and as much as we marvel at sub 30 second cold boot times and being able to install an OS service pack in less than five minutes, we know the majority of users will look at the price tag, compare it to that of a high performance hard disk like the Samsung F3, and opt for reliable platter power over solid state style. 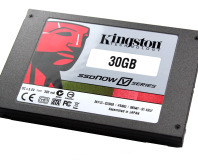 However, Kingston’s new addition to its V Series line of SSDs looks to at least lower the entry requirements for the world of SSDs with an affordable price tag of just ~£85 (including mounting kit). 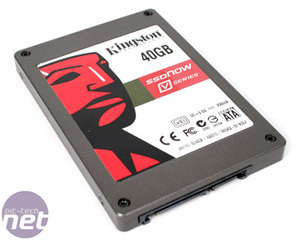 While the drive’s capacity is very limited at just 40GB, could this be the drive we’ve been waiting for? Claimed specifications of 170MB/s and 40MB/s write (no that’s not a typo) show that not all the SSD performance has survived the drop to a sub £100 price tag though, and with a formatted capacity of just 37.26GB space we’re also worried about space too – a clean Windows 7 install with a hibernation and page file will be close to filling this drive. However, Kingston has foreseen our concerns with the drive’s performance and capacity and will be selling it in dual drive, RAID 0 ready kits, which should theoretically double the drive’s sequential performance, at the cost of higher chance of failure and reliance on a decent RAID controller. 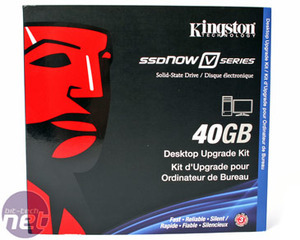 An annoying fact is that despite the different drive controller to the 64GB V Series, Kingston is also naming this 40GB V Series too. Confusing? Absolutely. An identical name is also completely contradictory to what Kingston told bit-tech a fortnight ago, when we visited its facilities in California. 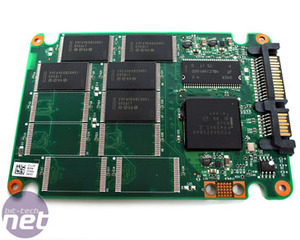 Cracking the drive open soon demonstrates the strong relationship between Intel and Kingston, as the 40GB V Series is actually just a rebadged Intel X25-X, the new cut price version of Intel’s 34nm X25-M SSD. 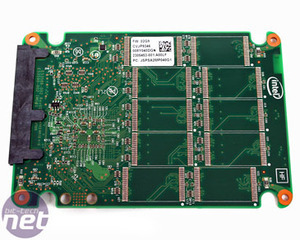 Even then, the drive is actually little more than a stripped down version of Intel’s re-launched 34m X25-M, with the PCB clearly missing three quarters of its twenty NAND flash modules and only sporting five 8GB 32nm modules instead. 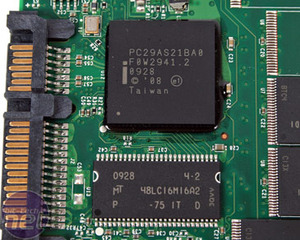 Other than the reduced number of modules though, the PC29AS21BA0 drive controller and 32MB 133MHz SDRAM cache chip are identical to those of the £180 80GB X25-M or £340 160GB X25-M, with all three drives using the same internals and only differing in the really expensive part – the amount of NAND flash on board. 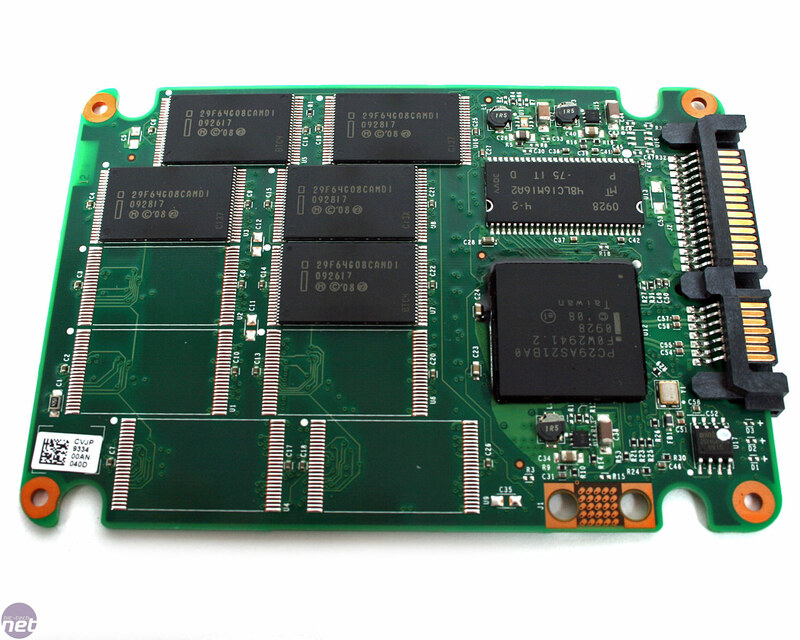 The fact that this drive uses only five modules is why its performance is so much less than that of the faster X25 drives as it’s simply able to address fewer flash modules simultaneously, reducing read and write speeds sharply. 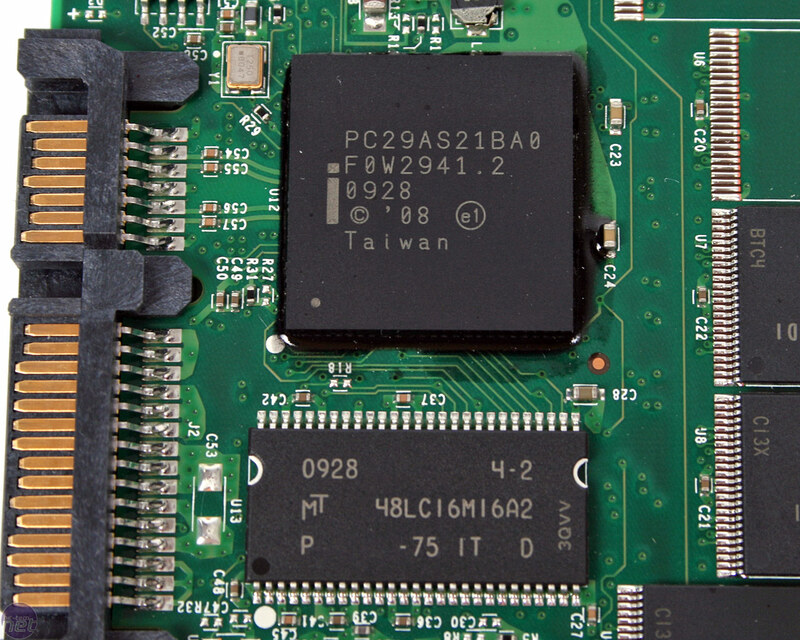 However, the use of the new X25-M drive controller bodes well in terms of feature support. 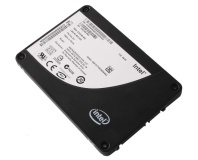 Intel was the first to introduce true Windows 7 TRIM support with its 34m drives and the 40GB V series benefits from this, keeping the drive in tip top condition in the face of extended performance if you’re using Microsoft’s newest OS. Those using Vista and XP are less fortunate though, with no hardware garbage collection meaning there’s nothing to correct performance degradation over time without a quick format to reset the drive. 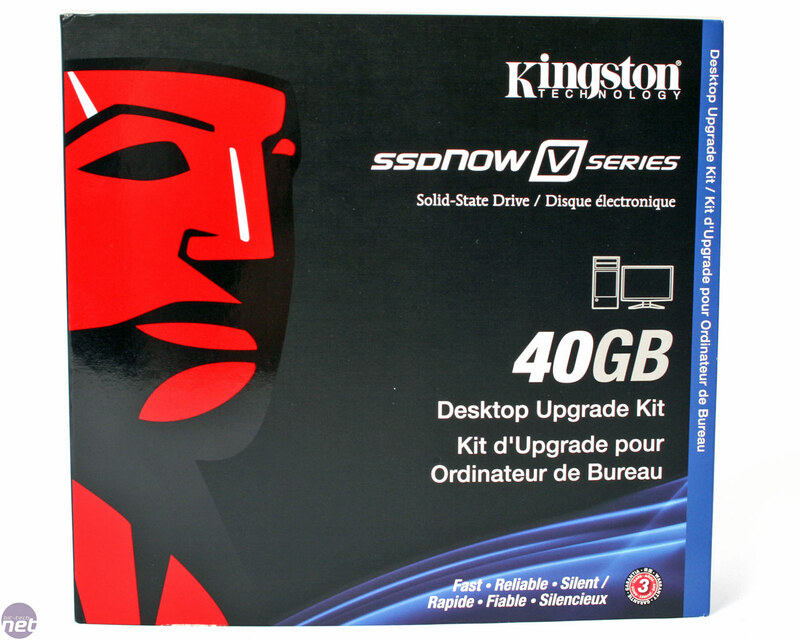 We’ll be taking a better look at SSD performance degradation and performance recovery in an upcoming article. As well as the drive, Kingston also includes a basic mounting kit for the drive, along with a SATA cable, a Molex to SATA power connector and a driver CD. Completing the package is a solid three year warranty along with 24/7 tech support should you run into any problems. As with all storage devices though, this warranty does not cover the data stored on your drive so always make a backup of vital files. 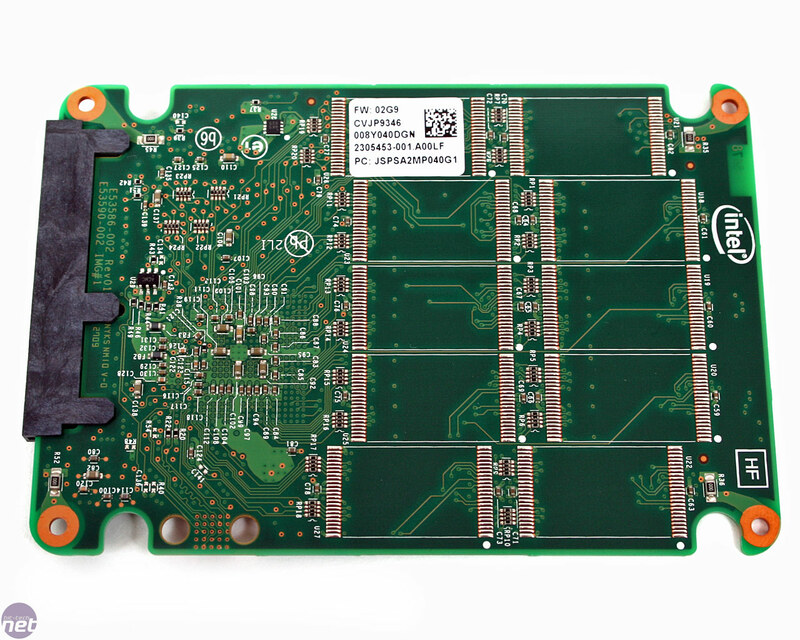 Even though an SSD has no moving parts to fail, drive failure and data corruptions, although phenomenally rare, can still occur.